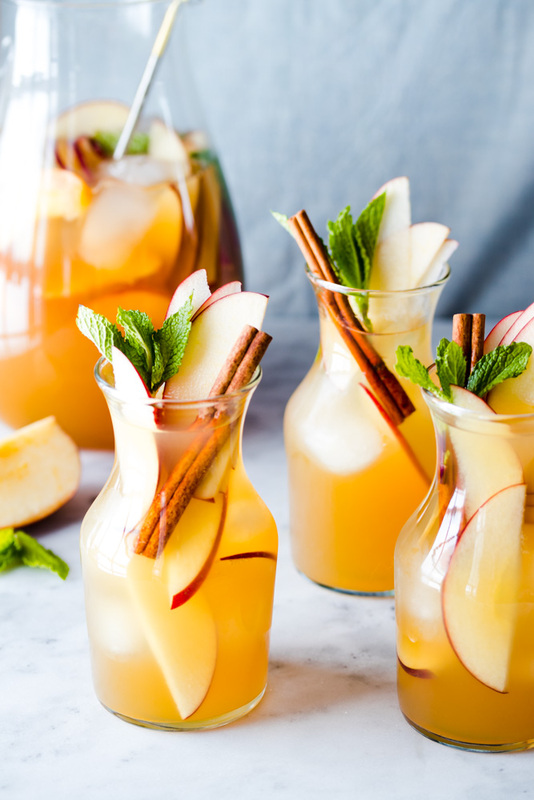 We’re ending dry January with this Apple Cider White Wine Sangria. Yes, it’s still technically January, but it’s Australia day, and we wanted to drink alongside them. This thirst-quenching bevvie is the perfect mid-winter pick-me-up for those who are in need of an easy, tasty brunch mate or just fancy a drink anytime of day. Apple cider, apricot brandy, ginger beer, and fresh fruit elevate a simple Pinot Grigio to a refreshing, easy-drinking treat. Maybe too easy-drinking! It’s the dead of winter here, and while we’re dealing with the endless freeze/thaw cycle that is a Newfoundland winter, we’re dreaming of balmy, sunny days in Australia. Well, imagining in my case. Nicole has been, but I have not. 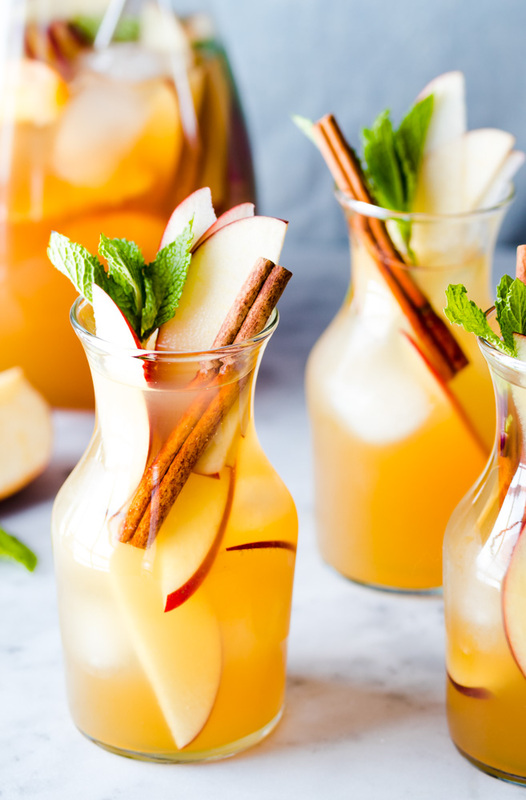 This drink is still a bit wintry with the use of apple cider and warming cinnamon sticks. But, it is so refreshing, it wouldn’t be out of place on a warm sunny day either. We’ll be using it again this winter, and most definitely again this summer when we can enjoy it on a warm deck! A warming and refreshing white wine sangria that’s perfect anytime of the year. Mix all ingredients, except for the ginger beer in a 2L pitcher. Refrigerate for 1-2 hours, adding the ginger beer just before serving. Serve over ice and garnished with mint and cinnamon sticks. Enjoy!